When the Supreme Court Strikes Down Obamacare, Will it Help Obama or Romney? At first glance, the answer seems obvious. If the Supreme Court overturns Obama’s signature legislative “achievement,” surely that hurts Obama and helps his opponent. But what about the fact that most Americans — 56% to 39% in a recent poll — want the legislation to go away? James Carville today bravely argued that an overturn “will be the best thing that ever happen to the Democratic party because health care costs are gonna escalate unbelievably… and then the Republican Party will own the health care system for the foreseeable future.” He also said, twice, “I honestly believe this, this is not spin,” leading Alana Goodman to headline her Commentary blog post, “Dems Spinning Possible Health Care Loss.” Ross Douthat has a rather unlikely theory about how an overturn could help Obama: “setting a clear limit on liberalism’s ability to micromanage Americans’ private decisions might make voters feel more comfortable voting to re-elect their micromanager-in-chief.” Not Douthat’s best effort. We’ll never know, because it seems clear that the law will be overturned. 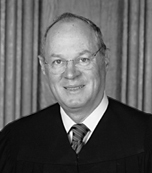 The only vote that has ever been in doubt is that of Justice Anthony Kennedy, and I think we can discern his opinion from his remarks from the bench: “But the reason, the reason this is concerning, is because it requires the individual to do an affirmative act… and that is different from what we have in previous cases and that changes the relationship of the Federal Government to the individual in the very fundamental way.” Why yes… yes it does! In addition to all this, I think an overturn will help Romney by neutralizing his biggest handicap as the nominee: the fact that he signed a healthcare bill in Massachusetts that also included an individual mandate. If the Supreme Court lets the law stand, Romney is going to have to spend a lot of time making fairly subtle distinctions between Obamacare and Romneycare. There’s the federalism argument: it’s one thing for a state to mandate something, quite another for the federal government to do so. But anybody who cares about federalism is already a Republican anyway.